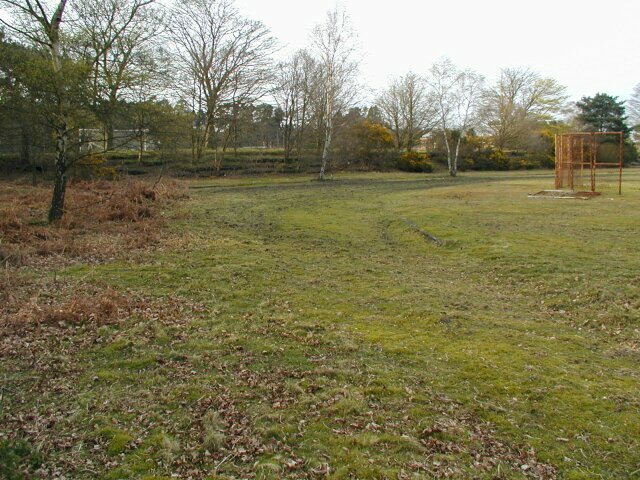 This former cinder track is within the Longmoor Camp Army base and is still more or less fully visible although the surface is now overgrown grass. The curbs are mostly intact and are made of wood. Barbed wire has been erected down the middle of the back straight and around the first bend which is also very overgrown. The end of the bank for a short space of railway, presuambly used for military training, has been built over the outer edge of the track at roughly the 200m start point. The home straight is however fully intact and the remains of four rows of terracing built into the bank alongside the home straight can be seen. There is also a very rusty cage and HT circle, SP and DT circles and the outline of a runway and pit. The track has clearly not been used for athletics for many years although it is theoretically possible to complete a lap in lanes 1 and 2. It is still clearly marked on A-Z and OS maps but was not in the AW 1962 list of cinder tracks.